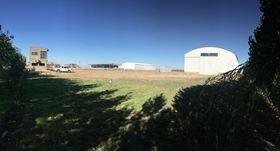 Gardner Denver's new facility in Neuquen, Argentina. Gardner Denver Petroleum & Industrial Pumps has opened an 8000 sq ft facility in Neuquen, Argentina. Gardner Denver Sudamerica SRL will support frac, drilling, well service and water jetting customers throughout the Vaca Muerta shale basin and subsequently throughout South America. “We value the close connections we have with our customers and look forward to supporting our South American customers with our newest full-service facility,” said Santiago Pojmaevich, operations manager for Gardner Denver Sudamerica. Gardner Denver’s Petroleum & Industrial Pumps (P&IP) Division sold six Thunder Series pumps in October 2016. Gardner Denver’s Petroleum & Industrial Pumps Division has officially opened a 70 000 sq ft regional repair centre in Odessa, Texas, USA.